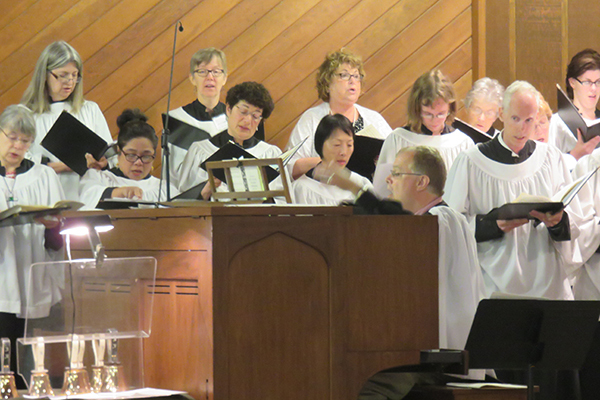 St. James’ Liturgy and Music Ministries provide laypeople with a variety of opportunities for leadership in worship. We are grateful for the volunteers who make our worship possible! Feel free to drop in any Thursday evening for rehearsal (except in July and August when we take a break), or contact Newton Lewis for more information. Lay Eucharistic Ministers (LEMs) assist the clergy in distributing the bread and wine during the celebration of Holy Communion. To serve as a LEM, a person must be 16 years of age or older, be a confirmed member of the parish, and regularly attend worship. LEMs are asked to commit to serving one Sunday a month. Members of the St. James’ Altar Guild serve Christ by joyfully and reverentially preparing the altars for all services. We set up the bread and wine for Eucharist, make sure that the altars and areas surrounding them are prepared for worship, and care for the sacred vessels and linens of the church. We work together on teams, with each team dedicated to preparing for worship one Sunday a month. Altar Guild members share a deep connection and camaraderie developed by working together in the preparation of the Eucharist, the foundation of our worship. If you are looking for a way to meet new people, and deepen your spiritual experience at St. James’, Altar Guild is for you! The Flower Guild provides flowers to the glory of God for worship in all seasons of the church year, except the penitential season of Lent. We also arrange flowers for funerals and weddings as requested. We are thankful that the generosity of our congregation allows us to perform our joyful work and to share flowers with donors, those who are in the hospital or sick at home, and others who need a lift in sad or stressful times or thanks for their service to the parish. It’s a special pleasure to present flowers to a newcomer now and then. Lectors joyfully proclaim God’s Word to the congregation, reading from the Old Testament, the Responsorial Psalm (if there is no choir) and the New Testament. 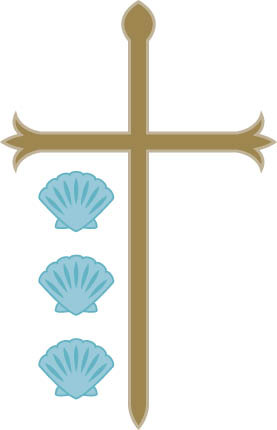 Lectors are asked to commit to serving approximately once a month. Sunday readings will be provided in advance so they can be pre-read and practiced at home. The Youth Acolytes are an integral part of the 10:30 a.m. service each Sunday morning and in many special services. The youth have worked hard to set a respectful yet active tone during the service, which allows all members of the congregation to have the most positive worship experience possible. All youth from 5th grade on are welcome. Additionally, all adult Lay Eucharistic Ministers are trained in acolyte duties. Please see Lori Minasian or Wendy Hicks if you are interested in training for service. The St. James’ ushers welcome and serve churchgoers so they experience a comfortable, safe, worshipful atmosphere. Ushers arrive 15 minutes before the service to check that the narthex is orderly, that bulletins are assembled and available, and that everything is in order for the service. An usher greets all who enter St. James’, hands out bulletins (and distributes other items such as candles, palms, etc. ), directs worshipers to seats, answers questions, identifies oblationers, and meets other needs. During the service, ushers oversee lighting and temperature, collect the offering, and respond to emergencies. At the end of each service, ushers oversee the safe dismissal of worshippers, tidy up the pews, move donated food to the office, check the hearing devices, and place the offering in the safe.